Justice secretary Michael Matheson has threatened Scottish Government intervention if Scottish Football cannot clean up its act. Mr Matheson, who is also MSP for Falkirk West, was speaking at the AGM of the SFA yesterday (Wednesday). 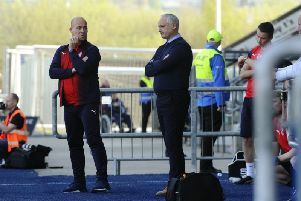 He condemned the riot which followed the Scottish Cup final but urged governing bodies to use it to “address some of the negative long-standing issues in the game”. He added: “The Offensive Behaviour at Football Act was introduced in 2012 following ugly scenes at a different match and highlights that the Scottish Government will act if we don’t think football is doing enough. “That may be strict liability or something else, but we want to see football taking the opportunity to address this long-standing issue. Scottish clubs competing in Europe are already subject to strict liability, so it can and does work.